Well, yesterday, a colleague of mine was asking me this question on interview tips. reason is, i had just attended one last few weeks and the results seems to be a flying colour...huhu....if not, i wudn't get the job, rite? but again, thinking about it, i have pretty high chance of getting a job whenever i attended an interview. And I only attended ones that I really want. Out of all those interviews, I only failed once. Other than that disastrous interview, I did pretty well for others. So, what's the secret? Well, I dun think I am the right person to give this tips since I am sure there are many others who can give better tips, but as for me, this is how I do it, everytime. 1- Learning from past mistake (u know which one! huhu), always arrange your timing perfectly, so that you have enuff rest and fresh for the interview. 2- Do background check on the company. It is always good to know what they are doing, what projects they are in, what is gonna be your role in that company, etc....Maybe you can also prepare a question or two to be asked about the company. It shows that you are interested in that company and how eager you wanna join them. Always prepare questions. It works for me, isn't it? 3- Revise your resume. Go thru word by word on whatever being written there. Since the interviewers gonna ask questions from your interview, you have to truly understand what you wrote there. Sometimes we felt that we know but it's good to always read your own resume to anticipate questions from there. You might know what you put there but there are times when you go, "did i do that?". Well, that happened to me during my failed interview. Also, keep your resume simple and short. Long wording will make it boring and less interesting. You are not making an essay in resume, isn't it? It's not your thesis! 4.i. Introduction of yourself: Your age, your degree, where you worked before, what is your job scope, etc... Make a script of it and rehearse it few days before the interview. Yo might want to be spontaneous but my advise is, to be spontaneous on other questions but not general questions. 4.ii. Your job scope now: What you have been doing in your current company or the company previously. You might want to elaborate on the job scope. Tell them the details. Rehearse this type of question also. And, if your job scope now seems to differ from the job scope you are applying, state the reason why you want to deviate from the job scope. 4.iii. Reason for leaving: There might be hundreds of reason for leaving your current company but dun be too blunt. If you try to make your current company look bad, you are giving the impression to the interviewers that you'll be doing the same thing to the company if you seek elsewhere for job. Just state the most popular reasons like to improve career development, to challenge yourself. Don't say the current job is boring, the salary is low, etc. It shows that you are materialistic. Go google it and you will find the many reasons..huhu.. These are all spotted questions. You might also want to be prepared on technical questions. Like myself, working as consultant involves a lot of calculations, concept of engineering and full understanding of process in a plant. It definitely be a long interview. Sighh....But we can always anticipate what kind of questions they are going to ask. So prepare and rehearse. For questions that you didn't expect to come from them, you can always told them that "I didn't know about that or I'm afraid I cud'nt answer that". Sometimes they want to test the level of your knowledge. If you didn't know, it means that your experience is up to a certain level only. Of course, for me, as a Process Engineer, they cannot ask me questions that is supposed to be asked to a Senior Process Engineer. I am not up to that level yet. So, they knew. 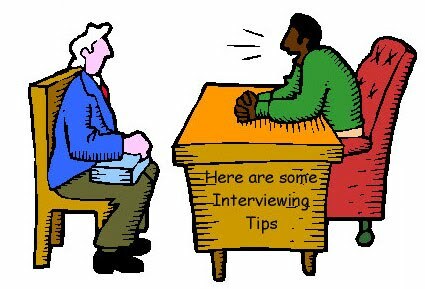 Don't make it hard on yourself to answer questions that you don't know coz you will start talking craps and that will give a bad impression to the interviewers. If somehow, you understand the questions but you know very litle of it, you can always say of the things that you know of "As far as I know, it is .....". Don't make up too many words and go further away from the topic. Hmmm...that's I wanna share with you guys...I am sure there are many other useful tips and you can just google it. Lat but not least, you can feel nervous, but when you walk in to the interviewer, act as if you are going to get it. But do not overconfident ok. They sure do not want a cocky staff...huhu...GOODLUCK!! P/S: I have just realized that I type "stuffs" and not "staffs". My bad....huhu...but u do understand, rite?